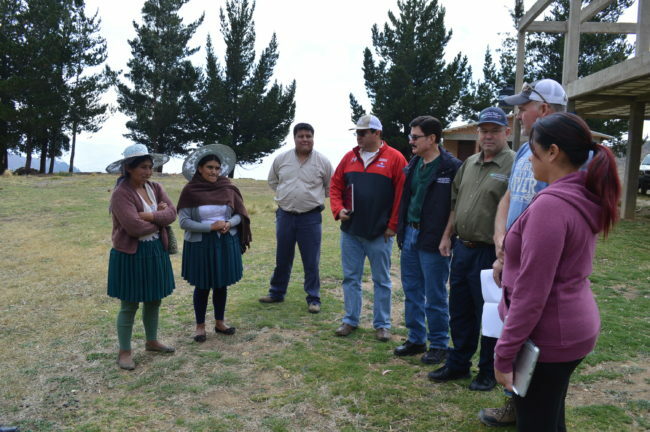 Volunteers from North Carolina’s electric cooperatives will soon be heading to Bolivia to build power line infrastructure that will bring electricity – for the first time – to a rural Bolivian village. The Brighter World Initiative is being coordinated through the NRECA International Foundation, the philanthropic arm of the National Rural Electric Cooperative Association (NRECA). 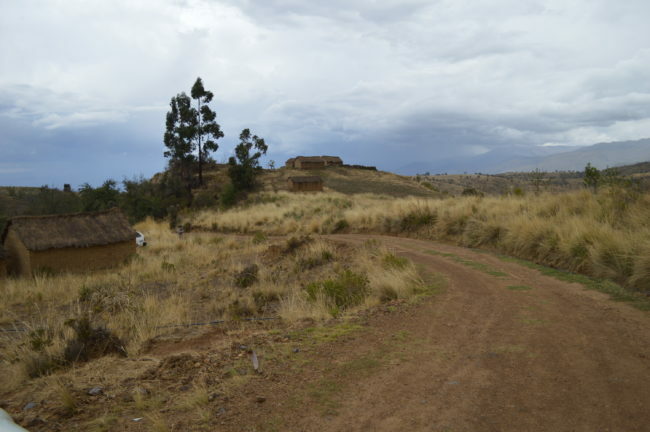 Electric cooperatives in North Carolina will send 13 volunteer linemen to electrify the village of Laphía, located in the state of Cochabamba in the mountains of central Bolivia. They will connect power lines and build infrastructure that will enable the village to receive power from the electric grid. Crews will string nearly five miles of power line, and all work will be done by hand as bucket trucks and digger trucks will not be available. More than 68 buildings will be connected, including a school, bringing new opportunities and advantages to the 120 people in the community. 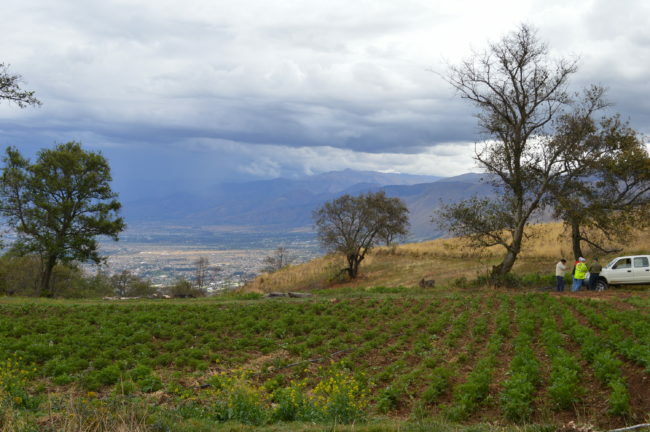 Laphía is an agricultural community located at an elevation of 11,600 feet. Locals subsist primarily by growing potatoes and flowers. Most live in modest homes of adobe brick and thatch roofs, and none have access to food refrigeration or the ability to use electric devices for household chores or to aid in their economic growth. 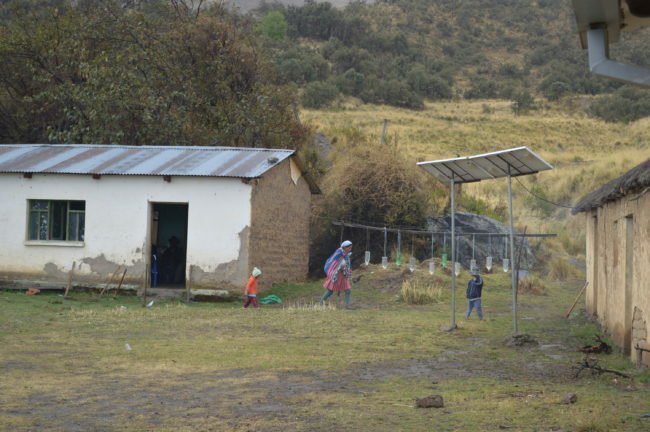 More than one billion people live without electric power around the world, according to the International Energy Agency, and only 66 percent of rural Bolivians had access to electricity as of 2016. Village leaders told cooperative representatives that the promise of electricity will create new economic and educational opportunities and a stronger community, as young people will be able to stay in the village, rather than moving to the city. Connection to the grid will also provide indoor lighting for the school building, as well as extended access to a small computer lab. 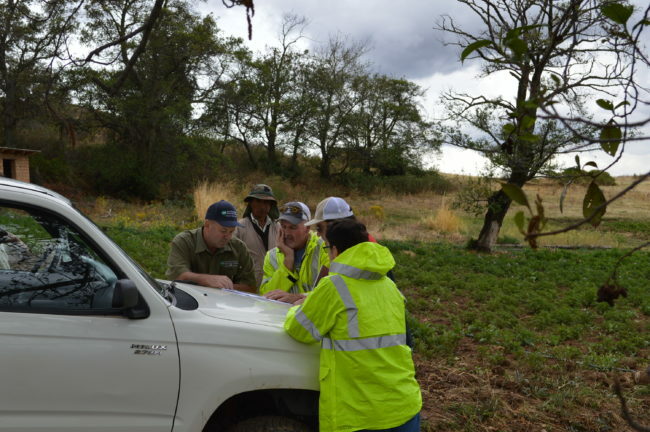 Spears, along with South River EMC’s vice president of engineering Chuck Richardson, worked with local Bolivian engineers to plan the scope of work for the project. Line crew leader Eddie Stephens of Lenoir-based Blue Ridge Energy also participated on the planning trip and is assisting with the project plan. NRECA International works to design and implement successful, sustainable, scalable rural electrification programs that improve education, healthcare, safety and economic opportunity. The organization has brought electricity to more than 160 million people in 44 developing countries. Learn more about the initiative and view additional photos in the In the Community section of our website.